We have an imaging room with the most modern digital imaging system which produces X-ray images in less than 30 seconds. Our endoscope and camera allows us to investigate patients with gastrointestinal and respiratory problems. Our ultrasound scanner allows our veterinary surgeons to carry out pregnancy diagnosis, and other advanced imaging of the abdomen and parts of the chest. 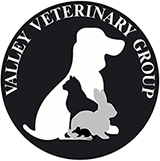 We have two sterile theatres for all small animal surgery including major soft tissue and orthopaedic procedures. We used the most advanced, gold standard anaesthetic gases and drugs. Our equipment includes ECG’s (electrocardiogram which electronically records your pet’s heart beat), Doppler Blood pressure monitors, pulse oximeters (detects how much oxygen is in your pet’s blood) and electrocautery and diathermy (can help to stop bleeding and make surgical incisions). We have a large preparation area where we have three stations which are used for patient preparation prior to theatre, non sterile, minor operations and procedures and phlebotomy. We have our own laboratory in which we have biochemistry, haematology and electrolyte blood analysers that will produce results within 20 minutes. We have microscopes and other equipment that allows us to perform most routine blood, hair, urine and skin tests. The speed of our blood results mean we are able to assess critically ill and emergency patients within a short time after admission, which can make the difference between life and death for some patients. It also allows us to carry our pre-anaesthetic blood testing, which gives you peace of mind that your pet is healthy immediately prior to surgery. Some of the things we test for are liver, kidney, thyroid, diabetes, hormone, and urinary problems.